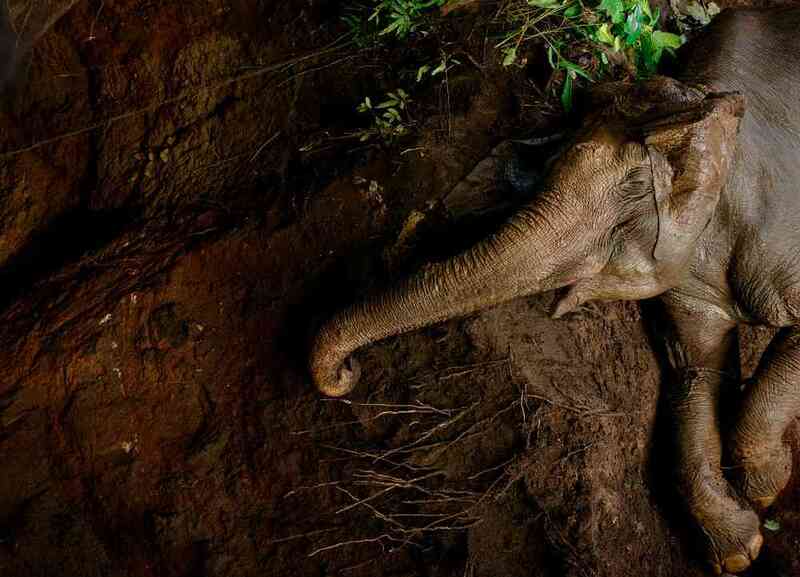 Graceful even in death, this young elephant fell into a deep, open well one night in Palakkad, Kerala. The photographer suspects the elephant emerged from the nearby forest to feast on fruiting jackfruit trees in the village. Open wells are a serious but little-recognised threat to wild animals, including Gujarat’s famed Asiatic lions, a few of which fall to their deaths every year.